One hundred and fifty-three people died. Visiting the site of the Tarawera eruption more than 100 years later, the experiential learners from three Geography classes visited the ruins of the Buried Village, near Rotorua. Gathering case-study information for their Extreme Natural Events assessment, students learned that people at the time didn’t understand what was happening or how to respond. With the benefit of hindsight, a presentation at Rotorua museum - helped by a shaking movie theatre - explained what happened that night. Following a luge-riding experience on Mt Ngongotaha, the group visited a dairy farm to learn about the environmental impacts of milk production,so equipping them for their Sustainability internal assessment. Several students got soaked! 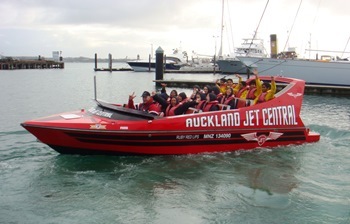 Ripping across Waitemata Harbour in a jetboat was bound to splash a few people. However, it was the 360 degree spins that threw the Year 12 and 13 Tourism students together and left them screaming and dripping. 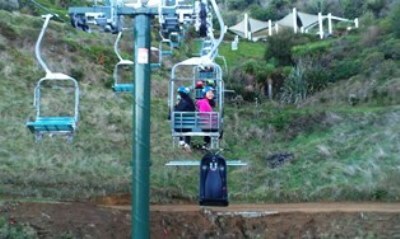 This activity is typical of the adventure tourism that visitors to New Zealand expect and which helps provide around ten percent of the jobs in this country. 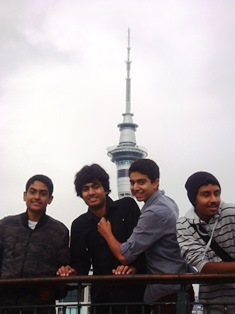 Next stop was the observation deck of the Sky Tower, from where students watched Skyjumpers leaping off the platform. A Sky City staffer explained the jobs available within the tower and the career progression of several employees. Visiting the headquarters of our tourism course provider also gave students an insight into further training and careers that can follow school. Auckland Airport provides more jobs than many whole towns do. From frontline aircrew through retail, accommodation, management, freight and security, more than 12,000 jobs exist at the airport. 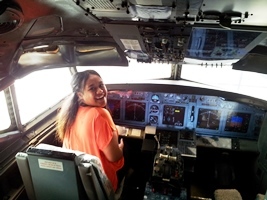 It is here that the Year 12 and 13 Tourism students visited, to see first hand some of the workplaces and hear people in the industry describe their jobs. 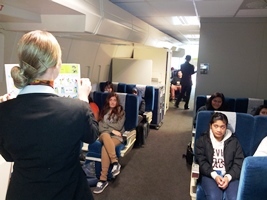 At the Travel Careers and Training campus, students experienced the simulated cabin of a wide-body jet, where cabin-crew trainees were in class. They learned to assemble the canopy of a liferaft and visited the cockpit of a Boeing 737. Security is a huge issue in airports, and an aviation security consultant gave a talk on security careers and some anecdotes about strange items that people try to get through the border. Hospitality careers were discussed at the Novotel Hotel, where students were given a tour of rooms and suites. 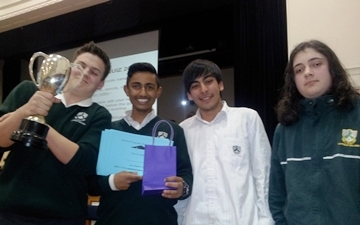 On the 16th and 17th of May approximately 300 students from around the Auckland region took part in the 2014 Model United Nations Assembly. Lynfield College's proud history of participation in this event was capably continued by our two teams of senior Social Science students. Gauri Prabhakar, Liam Bateman and Zachary Walker-Rendall represented Pakistan and Tian Cooke, Anton Stuart and Gavin Feng represented the nation of Libya. Website designed and built by Zeald © 2013 Lynfield College. All rights reserved.